Click Here! to enter the Royal Canadian Naval Association website. Click Here! to enter the Admiral Desmond Piers Naval Association website. Click Here! to enter the Kelowna Naval Association website. Click Here! to enter the Naval Club of Toronto website. Click Here! to enter the Royal Canadian Naval Association of London website. Click Here! to enter the Brant Naval Veterans Association website. Click Here! to enter the Royal Canadian Naval Association Burlington website. Click Here! to enter the Royal Canadian Naval Association Windsor website. Click Here! to enter the Royal Canadian Naval Association Sarnia website. Click Here! to enter the Vancouver Naval Veterans Association website. Click Here! to enter the Royal Canadian Naval Association Comox Valley Branch website. Click Here! to enter the "Under the Cat" website. Click Here! to enter the Royal Canadian Naval Association North Bay Ontario Branch website. Click Here! to enter the Peterborough Naval Association website. Click Here! to enter the Oxford County Naval Veterans Association website. Click Here! to enter the Calgary Naval Veterans Association website. Click Here! to enter the Kitchener/Waterloo Naval Association website. Click Here! 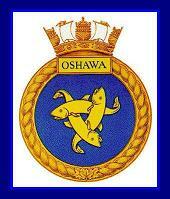 to enter the Oshawa Naval Veterans Club website. Click Here! to view the list of R.C.N.A. Clubs and Associations. NEED MORE INFORMATION, LET US KNOW HERE.